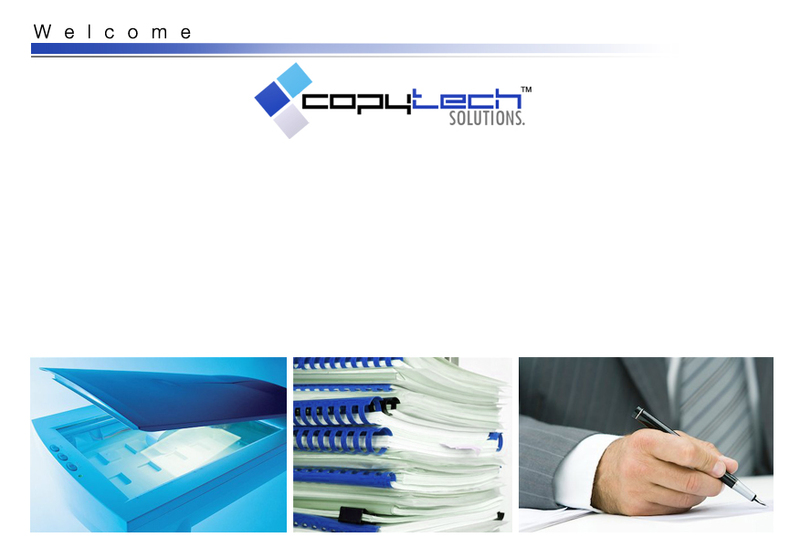 Copytech Solutions, Inc :: Scanning | Copying | Printing :: We offer more than Document Solutions! Our Company is dedicated to providing a high standard service to clients such as Law Firms, Real Estate Companies, Schools, Health Organizations and Commercial Businesses. From Capture and Coding to Duplication, Copytech uses the latest in technology for the best results in the interest of our clients. To better serve you, we provide many different services individualized for you and your company. Some of our services include: Scanning Documents; Printing Copies; Reproducing Color and Black & White Surveys; Video Tape, DVD and CD Copying; Heavy Litigation; Binding Documents; Trial Exhibits and much more. Our competitive rates will help your company save money for you and your clients. Our main focus is quality and time, so we guarantee your job will be ready on time and produced with the best quality materials and top notch technology to ensure the best output possible for your satisfaction. Copytech Solutions USA Inc. © 2019 All Rights Reserved.